Joelle Leandre put together this extraordinary band with the aim of recording live at the Sons d'Hiver festival, France, in 1999. What happened on stage exceeded all expectations and turned this project into an active band! 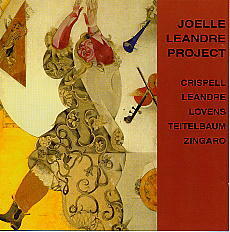 Marilyn Crispell piano; Joelle Leandre bass; Paul Lovens drums; Richard Teitelbaum electronics; Carlos Zingaro violin.